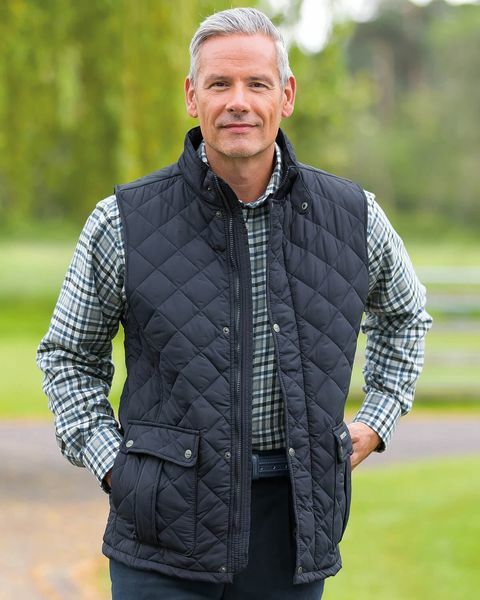 Mens Ashby Quilted Gilet in Navy. Machine Wash. Sizes M-3XL. Zip front quilted gilet with studded storm flap and generous front studded patch pockets. Back side vents with stud button and handy inner zipped pocket.